Ways to look like a million bucks when you have zero bucks. 1. Bold accessories are a lazy (and affordable) way to bring your closet back to life. Get these earring in black for $13 at H&M. Get more style inspiration from @dearmilano. 2. Use your makeup and hair to elevate your style game. Nothing makes a statement quite like a red lip and an eye-catching hair color. Great thing is, they're fairly affordable to try! Get a red lipstick on Amazon for $3 and Manic Panic for $11. Get more style inspiration from @margieplus. 3. Learn the art of creating high/low outfits. Mix and match your expensive pieces with much more affordable ones. This Mansur Gavriel bag ($600 from Net-A-Porter) is perfectly paired with a Forever 21 dress ($20). Get more style inspiration from @chanelfiles. 4. Avoid clothes that needs to be tailored, because no matter how great the deal, adding the cost of tailoring will be $$$. Not everyone is a fit model. In fact, probably like only five people are. The rest of us have a range of body types and add to the wonderful diversity that makes up all people. And as great as that is, it can sometimes make finding clothes that fit a bit tricky. To avoid super-expensive tailors, try rolling up long (or short) jacket sleeves, cuffing your jeans, or layering pieces that are a bit too oversized. This can help in avoiding those tailoring costs and add a little dimension to your look. Get more style inspiration from @mariaalia. 5. Or if you can't avoid it, learn to tailor your own clothes. Nothing drives up the cost of your favorite piece of clothing than the tailoring bill. But sometimes it's totally necessary in order to make your clothes look polished and professional. So save some cash by learning how to tailor yourself. Get a full tutorial on how to hem your pants from WikiHow. And check out Bespoke Post to see how to tailor a button-down shirt. 6. Buy pre-owned pieces at a fraction of the price. Sites like Vestiaire Collective offer a large selection of pre-owned luxury and fashion pieces. You can even sell your own! 7. Keep your closet organized. You'd be surprised by all the wonders that lie within your own closet. Keeping your closet organized lets you see all the amazing pieces you already have. Get all our tips to keeping your closet in tip-top shape here. 8. Wear your favorite piece in a million different ways. Get creative with your clothes! Layer them up, change the color palette, or alternate accessories in order to completely change the look of that one piece you can't get enough of. Get more style inspiration from @sanias. And find a similar red jumpsuit at Forever 21 for $28 or this one from Misguided for $33. 9. Pay attention to fabric. Whether you buy a piece from Barneys or Forever 21, always pay attention to the garment's material. It will determine the life span of the article and, more importantly, how you'll have to care for it. Learn more about fabric types and get homemade fabric softener recipes from It Takes Time. 10. On that note, learn how to take care of the clothes you have. Nothing destroys a great piece of clothing like a stain that just won't quit. Extend the life of your favorite pieces by learning all our tricks on how to care for them here. 11. 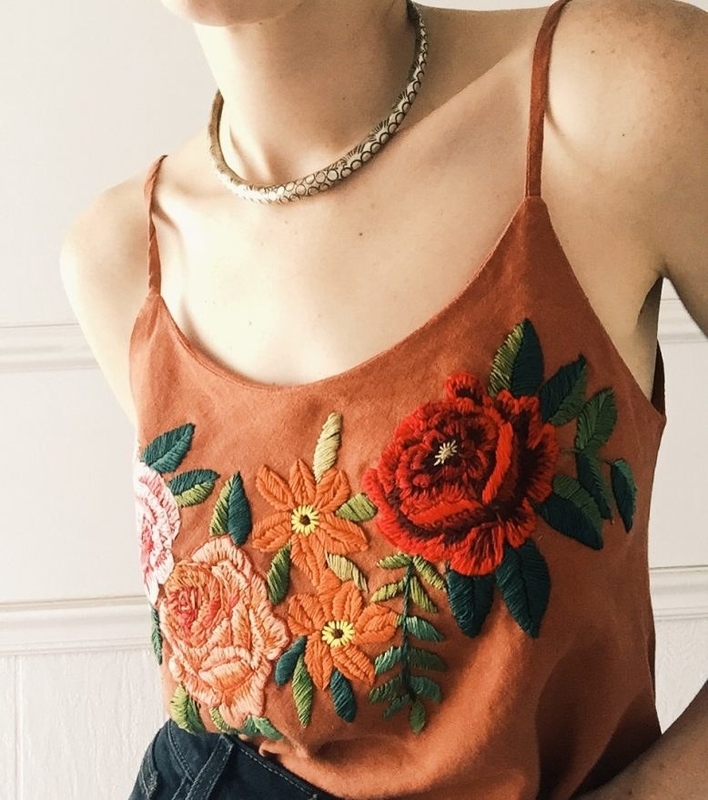 DIY the looks you love — like embroidery — that are just too expensive to buy. Get the full tutorial on how to embroider your own pieces and how to make this perfect wrap skirt from A Pair & A Spare. 12. Check out stores like Front Row Shop, Pixie Market, and Storets for on-trend fashions at affordable prices. Get the blazer from Front Row Shop for $41, the top from Pixie Market for $52, and the shirt from Storets for $48. 13. If you're going to spend money, invest in your shoes and handbags. Your shoes and handbags will get more wear and tear just because you'll likely wear them more often that your go-to blouse. So if you're gonna spend your hard-earned money anywhere, it should be with higher-quality versions. 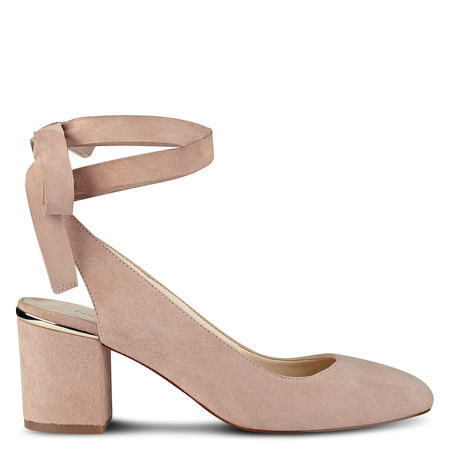 Get these at Nine West for $89. Also available in black, gray, and tan. 14. Find inspiration from Olivia Pope or any of your favorite magazines, movies, and TV shows. 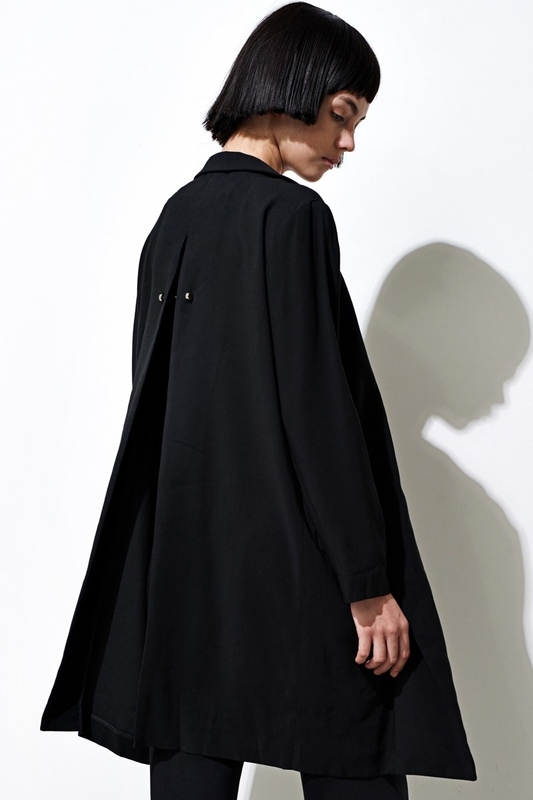 Get a similar coat from ASOS for $41 and get the rest of the look's details at The Fancy Things. 15. Master the art of experimenting with patterns and prints. Chances are, you already have a closet full of pieces in different prints and patterns. 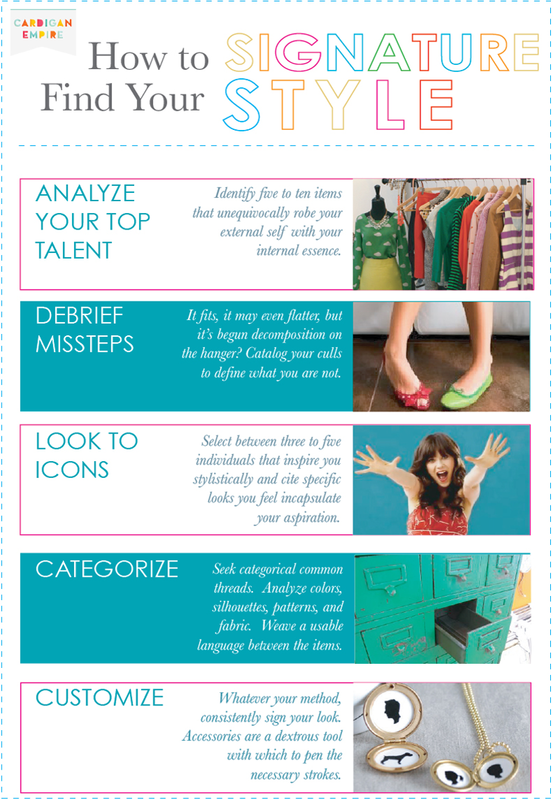 Master the art of pattern play to create fun new outfits using the pieces you already own. 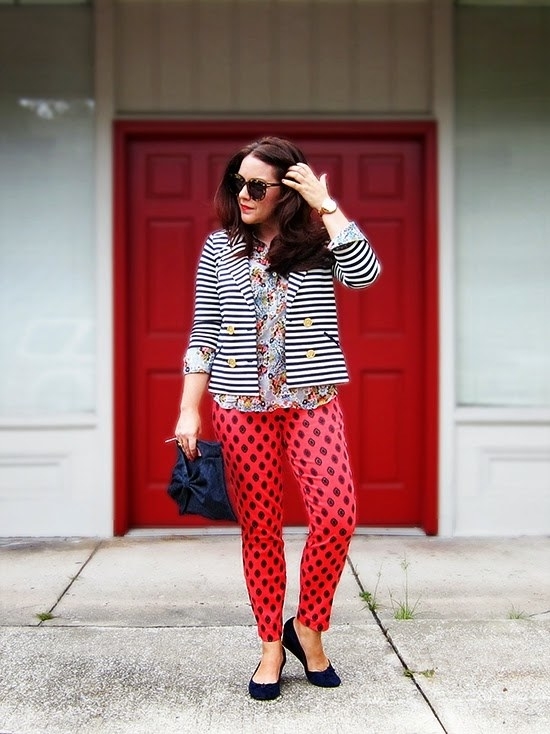 Get more style inspiration from @historyinhighheels. 16. Sign up for sales notifications through services like Shop It to Me. Just fill out a short profile, and every day you'll get notified about the items and brands that have been marked down. Learn more at Shop It to Me. 17. Borrow your clothes from the boys. Take a style note from Annie Hall and experiment with menswear. It's often simpler and easy to re-create with pieces you already have in your closet. Get more style inspiration from @stylescrapbook and complete this look with a similar top from H&M for $10 and suspenders from Amazon for $6. 18. Or actually, just borrow clothes and accessories from online rental sites. Rent this J.O.A. coat from Rent the Runway for $30 for four days or borrow a similar Chanel bag from Bag Borrow or Steal for $250 per month. 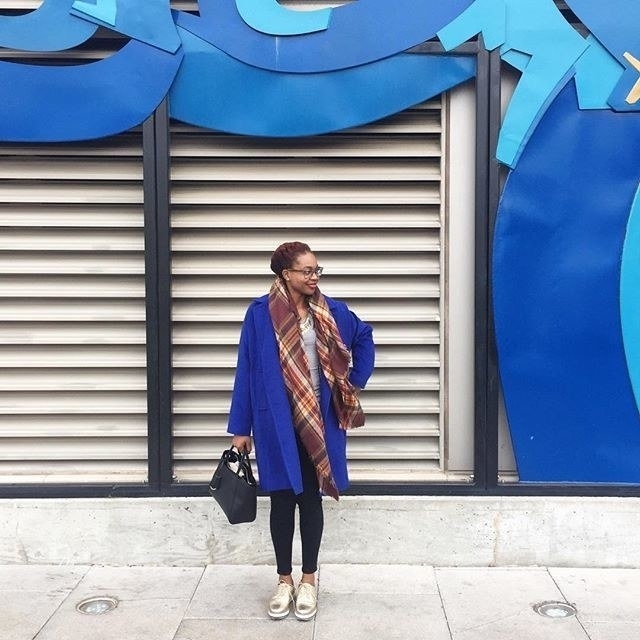 Find more style inspiration from @klassykinks. 19. 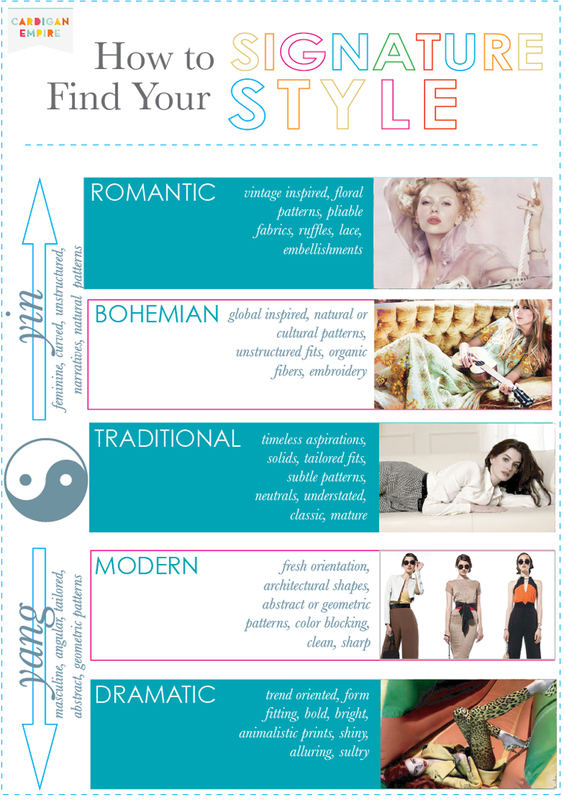 Create a uniform based on the styles and fashions you love most. Learn more on how to map out your own uniform from Cardigan Empire through its YouTube channel. 20. Search #OOTD, and other fashion-related hashtags, to find tons of style inspiration from regular people all over the world. Get similar pants from Asos for $38 and this almost identical top from Missguided for $40. Get more style inspiration from @lanioak. 21. Follow the rule of three to complete your outfit and look totally polished. The rule of three is simple: Once you've chosen your top and bottom (not including your shoes), add a third piece. It can be a great jacket, a bold belt, or statement accessory. It'll also give you so many more ways to wear your clothes and pull all your looks together. Get a similar jacket to this one at Asos for $91 and get more style inspiration from @calliethorpe. 22. Experiment with the staples in your closet. Try layering your jewelry on top of your favorite white button-up or wearing a dress over your favorite trousers. It'll give these basic pieces new life. Get a classic white button-up at Uniqlo for $30. And see all the details of this look at Fake Leather. 23. Buy the pieces that are inspired by your favorite high-end designs. You can get this stunningly gorgeous Johanna Ortiz dress for $2,423 (on sale) and these adorable Alexandre Birman shoes for $695 on Moda Operandi. But if that's out of your price range, you can get the look within your own budget. Find this lace dress on Amazon for $17 and these pretty pink shoes from Forever 21 for $35. 24. Wear whatever makes you feel confident! The only rule in fashion is that you get to make your own rules. Wear what makes you feel beautiful, happy, comfortable, and confident. Get more style inspiration from @girlwithcurves and find similar tops at Forever 21 for $20 here and here. For more fabulously affordable fashion, check out our pick for the best cheap everyday sneakers on BuzzFeed Reviews!